Over the last couple of weeks we have taken a look at how to play Baccarat. As you’ve seen, Baccarat rules can be a little bit complicated if you are the one dealing the cards. Luckily, whether you are playing in a land based casino or are playing Baccarat online, all of the complicated rules are always handled by the dealer. When you boil it down, that’s all there is to this popular casino game! 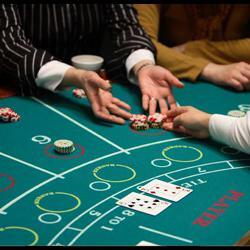 Now that you know how to play Baccarat, and how all the rules work, do you want to know how to WIN Baccarat? Believe it or not, the best winning Bacarrat strategy is incredibly simple: Always bet on the Banker. “That’s it?” you may be asking. The reasoning behind this strategy simply boils down to the odds of the game. A bet on the banker has a 1% house advantage. A bet on the Player has a 1.2% house advantage. A bet on Tie has a 14.4% house advantage. As you can see, when you bet on the Banker, the casino has the lowest advantage out of all possible bets. There is nothing you can do to change these odds, so the best strategy for Baccarat is just to bet on the Banker every single time. If you’ve read the entire How To Play Baccarat series, you’ll remember that the rules of the game are pretty complicated for a game that has such a simple winning strategy. Want to give this Baccarat strategy a try right now? Download the free casino software from Silver Oak to start playing Baccarat and over 130 other online casino games now! What do you think of this Baccarat strategy? Are you surprised it’s so easy to win in Baccarat? Let me know in the comment section below!